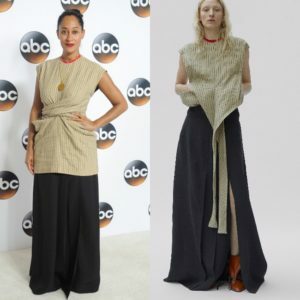 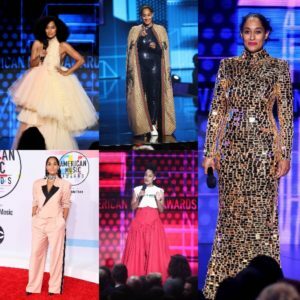 While the majority of celebs of models opted for slinky, slightly embellished slip dresses and gowns, Tracee Ellis Ross stole the show in a standout red number by British designer Jenny Packham. 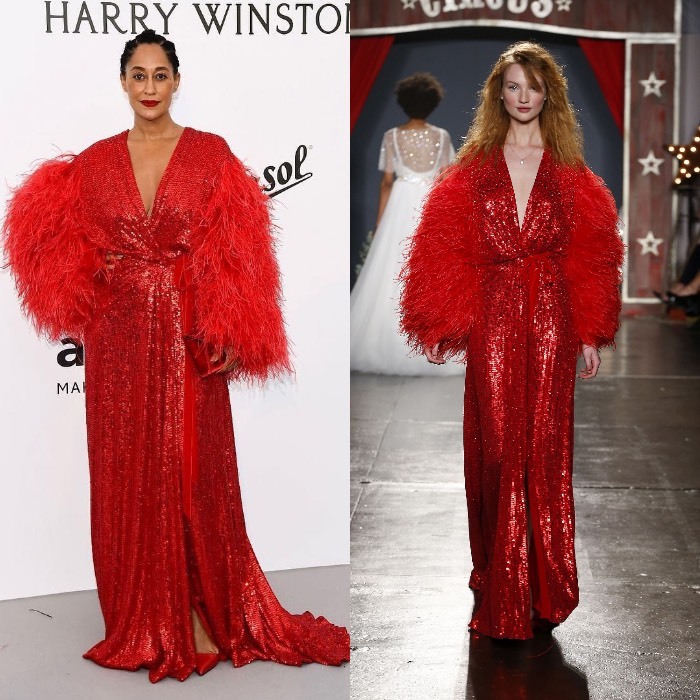 Ross wore a red sequined robe with feather detailed sleeves from Jenny Packham’s Spring 2018 bridal collection. 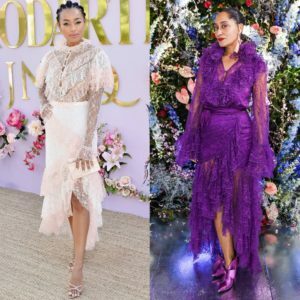 She paired the look with shoes by Christian Louboutin and a clutch by Tyler Ellis.